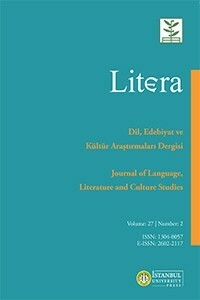 LITERA, is a peer-reviewed, open access, international journal published by the Faculty of Letters at Istanbul University. As a biannual journal published in June and December, LITERA features academic articles in the fields of literature, arts and culture in general. Multidisciplinary approaches that focus on or include discussions of non-Western literatures and cultures are also encouraged. The objective of LITERA is to publish theoretical and/or critical articles that will provide an intellectual platform for literary and cultural studies.